The Office of Foreign Assets Control administers and enforces economic sanctions programs primarily against countries and groups of individuals, such as terrorists and narcotics traffickers. The sanctions can be either comprehensive or selective, blocking assets and enforcing trade restrictions to accomplish foreign policy and national security goals. The U.S. Treasury Department has a long history of dealing with sanctions: Dating back prior to the War of 1812, Secretary of the Treasury Albert Gallatin administered sanctions imposed against Great Britain for the harassment of American sailors. During the Civil War, Congress approved a law which prohibited transactions with the Confederacy, called for the forfeiture of goods involved in such transactions, and provided a licensing regime under rules and regulations administered by the Treasury. 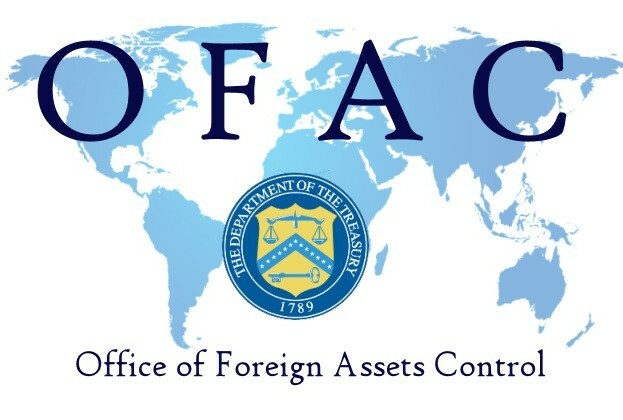 The OFAC is the successor to the Office of Foreign Funds Control (FFC), which was established at the advent of World War II following the German invasion of Norway in 1940. The FFC program was administered by the Secretary of the Treasury throughout the war. The FFC’s initial purpose was to prevent Nazi use of the occupied countries’ holdings of foreign exchange and securities and to prevent forced repatriation of funds belonging to nationals of those countries. These controls were later extended to protect assets of other invaded countries. After the United States formally entered World War II, the FFC played a leading role in economic warfare against the Axis powers by blocking enemy assets and prohibiting foreign trade and financial transactions. The OFAC itself was formally created in December 1950, following the entry of China into the Korean War, when President Truman declared a national emergency and blocked all Chinese and North Korean assets subject to U.S. jurisdiction. U.S. persons must comply with OFAC regulations, including all U.S. citizens and permanent resident aliens regardless of where they are located. This includes all persons and entities, incorporated entities, and their foreign branches within the United States. In the cases of certain programs, foreign subsidiaries owned or controlled by U.S. companies also must comply. Certain programs require foreign persons in possession of U.S.-origin goods to comply as well. What is this OFAC information on my credit report? Credit bureaus and agencies in particular have adopted new measures to ensure compliance with OFAC regulations. 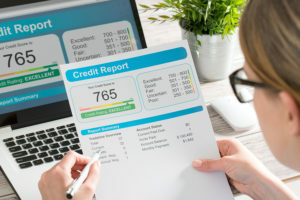 Before issuing a credit report, they use screening software to determine if a credit applicant is on the OFAC’s Specially Designated Nationals (SDN) list or one of its other sanctions lists. This software matches the credit applicant’s name and other information to the names on the OFAC’s sanctions lists. If there is a potential match, the credit bureaus may place a red flag or alert on the report. This does not necessarily mean that someone is illegally using your social security number or that you have bad credit. It is merely a reminder to the person checking your credit that he or she should verify whether you are the individual on one of OFAC’s sanctions lists by comparing your information to the OFAC information. If you are not the individual on the sanctions list, the person checking your credit should disregard the OFAC alert, and there is no need to contact the OFAC. However, if the person checking your credit believes you are the person on one of OFAC’s sanctions lists, then he or she should call the OFAC Hotline to verify and report it. How can I get the OFAC alert off my credit report? A consumer has the right under the Fair Credit Reporting Act (FCRA), 15 U.S.C. 1681 et seq., to request the removal of incorrect information on his or her credit report. To accomplish this, consumers should contact the credit reporting agency or bureau that issued the credit report. 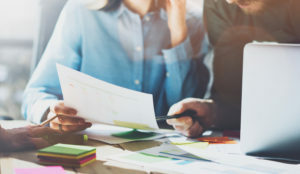 If credit managers see a hit for OFAC, the credit manager can do an independent search on the OFAC website to rule out data errors. For more information please contact Mountain States Commercial Credit Management at 800-457-8244. This entry was posted on Thursday, October 19th, 2017 at 10:38 am	and is filed under Blog Posts. You can follow any responses to this entry through the RSS 2.0 feed. Both comments and pings are currently closed.